A Moose and Bear Habitat with access To Tigger, X, Y and Z Lakes. Since the completion of the main line in 1923, the Alaska Railroad has grown into a full-service freight and passenger railroad. Our town of Talkeetna is a great place. Come see the famous mountain of Denali (also known as Mt. 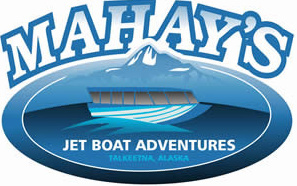 McKinley) out on one of our jet boat tours. 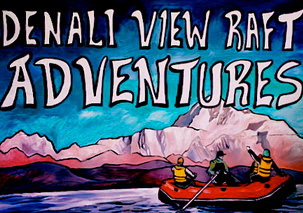 Join us on a Denali flightseeing tour and experience one of the great mountain landscapes on earth. 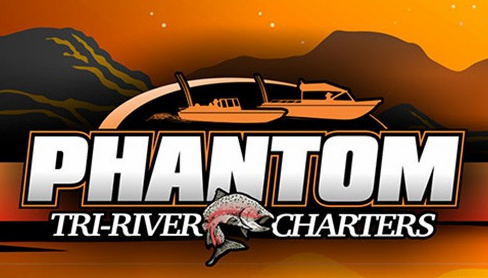 All float tours offer spectacular scenery, mountain vistas and excellent opportunities to view wildlife. Ziplining is a thrilling and educational way to experience Alaska's breathtaking and natural scenery. A flightseeing trip over Denali National Park and Preserve will give you a bird's-eye view of its incredible vastness and awesome beauty. Talkeetna ATV Tours Offers a Narrated tour of Historic Talkeetna, an off-road trip to a Remote Homestead, lunch, target practice and gold panning. 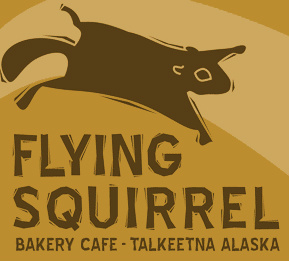 Carved out of the woods in 2009, Flying Squirrel Bakery Café is a deli-style eatery serving all kinds of delicious sweets and hearty, wholesome foods.